Western Australia is the first state in the country to ban the sale of e-cigarettes, even though it is still legal to sell and purchase ordinary tobacco products. In a recent landmark ruling, Perth e-cigarette seller Vince Van Heerden was convicted and fined $1,750 in the supreme court for breaching the state’s tobacco laws, which prohibit the sale of any item that resembles or mirrors a tobacco product. The judge made the ruling even though the e-cigarettes being sold through Van Heerden’s online business contained no nicotine or tobacco. 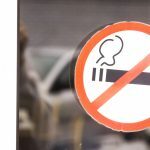 In 2011, the WA Health department raised the premises of Van Heerden’s business, Heavenly Vapours, and alleged that the business breached section 106a of the Tobacco Products Control Act. In September last year, he was acquitted of the charges by a magistrate who ruled that there was not enough resemblance between the e-cigarettes and ordinary cigarettes, and that the devices could just as easily be considered to look like fountain pens as to look like cigarettes. After the acquittal, however, the WA health department lodged an appeal in the supreme court, which proved successful late last month. 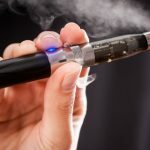 The judge ruled that the hand-to-mouth action and expulsion of vapour were in fact enough to make the e-cigarettes resemble an ordinary cigarette, and they were therefore illegal to sell in the state. Van Heerden has stated that he will appeal against the ruling if possible. E-cigarettes are an electronic cigarette substitute, which are often reported to be an effective tool for smokers who are trying to quit the habit. E-cigarettes resemble ordinary cigarettes, but they allow users to inhale vapours without actually ingesting any smoke or nicotine. Although they have been around for decades and are used by smokers who are trying to quit or reduce their cigarette intake, e-cigarettes have never been officially approved as an aid to quit smoking. 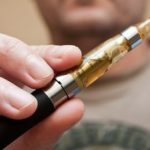 E-cigarettes are controversial worldwide with an upcoming World Health Organisation conference planned in October to discuss their associated health risks and benefits. What is the problem with e-cigarettes? Although nicotine-free e-cigarettes don’t come with the harmful effects of ordinary cigarettes, it’s their resemblance which has caused the main legal problems. Those who are in favour of e-cigarettes claim they are effective devices to help people quit smoking, while health organisations have concerns that their physical resemblance to cigarettes means they could encourage young people to take up smoking. E-cigarettes can also contain nicotine, and although they may reduce the harmful effects of smoke, nicotine still comes with a number of adverse health effects, including the restriction of arteries and constriction of blood vessels, which can lead to heart attacks and stroke. 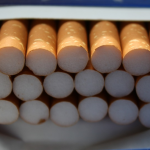 According to the Tobacco Products Control Act, it is illegal to sell food, toys or any other item which resembles or mirrors a tobacco product or that is in packaging designed to resemble a tobacco product or package. Under this legislation the penalty for an individual who commits an offence of this nature is a fine of $10,000 for a first offence and $20,000 for a second or subsequent offence. 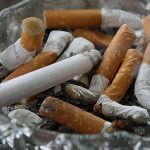 The contradiction in this latest ruling comes from the fact that it is perfectly legal for anyone over the age of 18 to purchase and smoke cigarettes which contain a large number of carcinogens and other harmful chemicals, but are banned from buying a chemical-free version which has been claimed to help thousands of smokers to quit the habit. E-cigarettes are still legal in NSW, although the law has similar provisions for banning the sale of products which resemble cigarettes. At this stage it remains to be seen whether or not other states will follow WA’s lead in banning e-cigarettes from sale altogether. Follow the Sydney Criminal Lawyers® Blog for further news topics on criminal and traffic law.